A Bizarre Serial Murder Mystery. There’s A Serial Killer Close By. A Prohibited Psychothriller. The Multi-Sight System Reveals Surprising Truth! 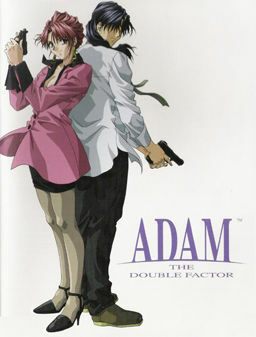 In this game there are two heroes, Kojiroh and Marina, who are each called to solve their own cases. This game allows you to switch characters at any time to solve the mysteries these heroes encounter. This “Multi-Sight Adventure” allows you to view what’s happening behind-the-scenes from the other character’s perspective, bump into each other, and sometimes even help each other out. Together, they come closer and closer to the shocking truth through their combined actions and skills of deduction. Marina’s Episode: Marina is a national intelligence agent with a 99% success rate. Her new assignment is to protect the daughter of a Japanese embassy official stationed abroad. As you encounter numerous attackers, you become aware of a dangerous government dispute that is the root of all these attacks. Kojiroh’s Episode: A seemingly down-on-his-luck private investigator finally gets a break, as he is hired to locate some mysterious piece of art. Even though he feels a little weird about this case, the pay is huge! Yet he may be drawn into an unexpected nightmare involving a string of bizarre murders. I see this doesn’t say 18+ on the download buttons, so is it the same one I have on Desura? I’d heard there was a version of this that was more pornographic in nature and am sorta curious. If you are stuck, change character. Basically, stop playing as Marina and play as Kojiroh (yes, you are allowed to change character/scenario in game). Keep playing Kojiroh until you get “stuck” again. Then switch back to Marina. first you have to save marina route where you are stuck and then load kojiro route from empty left box in which marina’s route was saved and when you want to save from kojiro’s side you have to save on same slot from which you loaded it.You can’t switch between characters if it is not on same slot or if you started new game for both kojiro and marina. Did that. Still nothing is happening. Gave up on the game after trying and nothing happening.I even loaded Marina’s scenario on a new slot next to the other save where I got stuck on Kojiroh’s side. I believe this is a glitch of some sort, gonna get the game again and try it all over. Same thing is happening to me! Did you ever find a solution?!!?! Anyone knows why this happens? Anyone?? Unfortunately, this version doesn’t have any h-scenes. None at all. 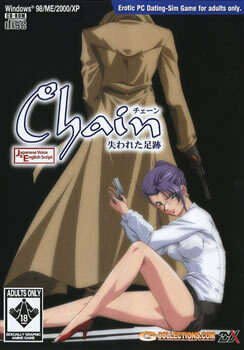 The first version of the game (for PC-98) and the 2003 remake, they do have. But they have never been translated in english. Hey, when I try to download part 3 I keep getting an error page after entering the captcha and hitting download. Anyone else having this issue? 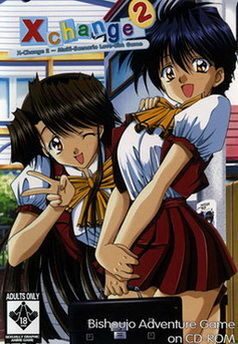 This truly a classic, brings back a lot of memories when I first played my first eroge w/c is Fatal Relations, been looking for this for quite some time, can’t believe that I wasn’t able to find your site before, this site is heaven. More Power and Thank You! I can’t advance the plot in Marina’s path (I’ve even checked everything with Japanese playthrough on youtube) at night on 4th December. Chief should call and tell her about the murder, but I can’t activate it. What should I do? I got that same problem as well! Did you ever find a solution!? Is this happening to anyone else?? Ahhhh! The story is going so good too.. Please reply.. The game system looks really old. Is there any way to skip or read it on auto mode ? I’m tired clicking all the way to advance the story. Any help would be appreciated. unable to mount any files into daemon tool lite. I have 3 folders and none of file could be mounted. each of the folder have a file call cd1.ico,cd2.ico and cd3.ico i tried changing the name of ico to iso but daemon still dont recognize. What should i do to get this install. If you can put an installation description for people not use to this file type it would help. 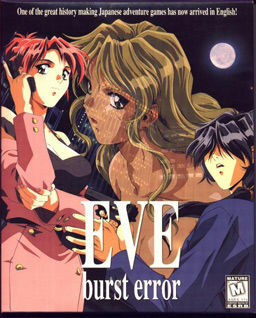 Just a quick question, I notice there’s three CD’s, each with a “EVE.exe”, do you need to play the game in parts using each cd, or does EVE.exe all the same program? Sorry if it sounds confusing. Me too, wants to thanks. To be able to download every good galge/eroge it like dreams to me. Very very much thanks admin. Ah , makes sense. Also thanks , really looking forward to it. Hey admin , how come you don’t put these up on the front page? I didn’t even know about it until i decided to randomly click links. Also , what’s your take on Go Go Nippon? 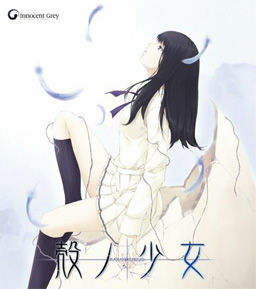 Is it coming up here even though its not ‘technically’ an eroge/VN? Thanks for all your work as well. I want to post latest releases on front page, so that people can just visit main page and see if something got translated recently – those are old titles – they are not on front page, but they are listed on “download” page, as well as on RSS and Twitter feeds. Even if site has “eroge” in name, i post plenty of all-ages titles – you’ll definetely find it here once it gets released.